To help participants understand how voice and sound production affects not just pelvic health, but drives overall systems-based health outcomes, including stress management, autonomic function and gut health, and resilience. Join Dr. Ginger Garner for a journey into the deepest core structures of the body. Learn about their important functions not just for stability and strength, but also for our extended emotional and mental wellbeing and resilience. The 3 diaphragms include the respiratory, pelvic, and laryngeal diaphragms, which have intimate connections to systemic functioning which affects our overall health, as well as how successfully we are to interact with the world around us. Some anatomists count 2 additional diaphragms, i.e. 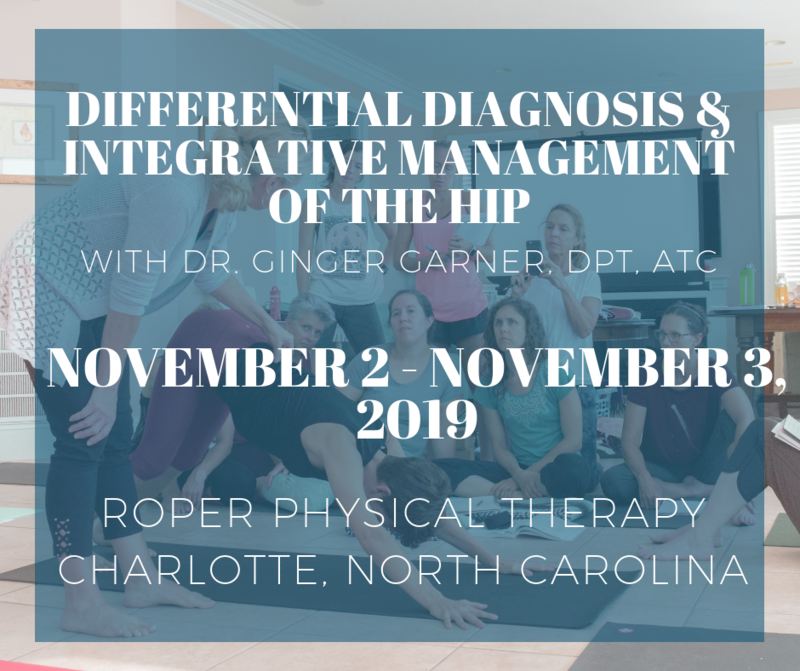 the thoracic outlet and the cranial diaphragm, which will be addressed in this course via application of the scientific support and evidence-base for functionally affecting the primary 3 diaphragms. The human body is composed of 70% water, and the three diaphragms are all impacted by, and driven by our most visceral functions, swallowing the breathing. The diaphragms are intimately connected via neural, vascular, fascial, and gastrointestinal components, which dictate our health and well-being through optimal pressurization. The diaphragms are in constant movement, pulsing with the breath of the body. Osteopathic theory the diaphragms are involved in controlling the fluid pressure and movement of the entire body, while biomechanical theory, neuroscience, and neuroendocrinology supports the three diaphragms’ multi-system influence on human response to communication and basic life functions, including stress response, pain perception, sexual function, and sound production. The diaphragms are in constant movement, and form an important systems-based mechanism through which pressure is regulated in the mind-body complex, providing us with the key to both internal and external biopsychosocial stability and structure of the mind-body. When in balance, the movement of the diaphragms exerts a tremendous effect on human health and movement. If out of balance or not functioning, the body’s self-regulatory powers are disturbed and our health and wellbeing suffer. •Demonstrate how to perform the Orofacial Assessment. •List ways to manage the Orofacial complex using a biopsychosocial model of assessment and intervention. •Define the Three Diaphragms (3D) in order to understand differential diagnosis at each level. •Verbalize the interrelationship and impact of the 3D model with Polyvagal Theory. •Practice specific integrative movement techniques for pain management and improved laryngeal, respiratory, and pelvic and sexual functioning. •Practice key breathwork and self-assessment and treatment techniques that support psychobiological health. This continuing education seminar is targeted to anyone who deals with the Orofacial area or any of the three diaphragms, including dentists, physical therapists, occupational therapists, speech language pathologists, physical therapist assistants, occupational therapist assistants, registered nurses, nurse midwives, and other healthcare professionals. Content is not intended for use outside the scope of the learner’s license or regulation. Prerequisites: None; Participants should come ready to do internal and external oral examination, and to be patient models. If you cannot be a patient model, you need to arrange to bring a patient model with you so you can practice examination. Please dress for lab as we will be doing integrative movement as well. A yoga mat and towel are highly recommended since you will be spending time on the floor for assessment and labs. As this continuing education course includes lab work, all course attendees should come prepared to participate as both clinician and patient. It is recommended to bring a yoga mat and towel to the course. Contact us for more information regarding course hosting. Please include which speciality course you are inquiring about.